Hepatic disease caused by chronic alcohol consumption can be prevented and reversed by administration of Taurine. 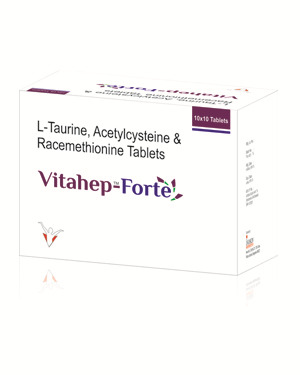 It maintains the levels of hepati total protein, glutathione and superoxide dismutaseb higher compared to taurine depleted group. Has a lipotropic action on liver that mobilizes fat in liver and prevents its build-up in the arteries. Protects against acetaminophen overdose-induced hepatotoxicity by restoring hepatic concentrations of glutathione. Treats acetaminophen poisoning by binding the poisonous forms of acetaminophen that are formed in the liver. Promising compound that restores intracellular levels of one of the body's most powerful antioxidant defenses,glutathione.